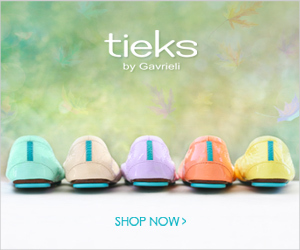 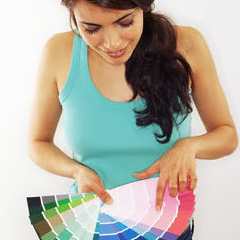 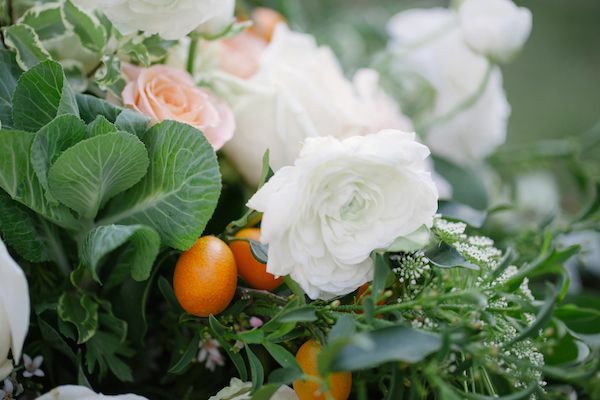 What's bright and beautiful and just bursting at the seams with feel good vibes? 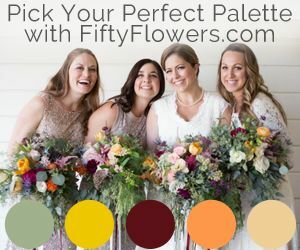 Say hello to today's colorful styled shoot with event design and planning by Rustic Vintage Events and the prettiest florals by Sweet Stems Florist. 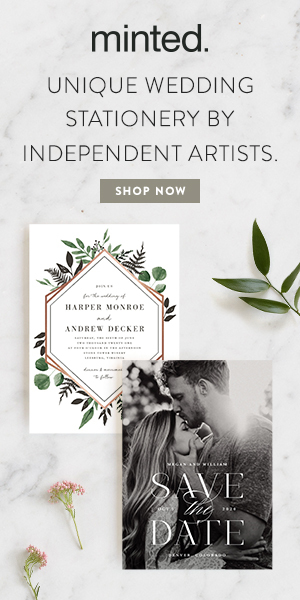 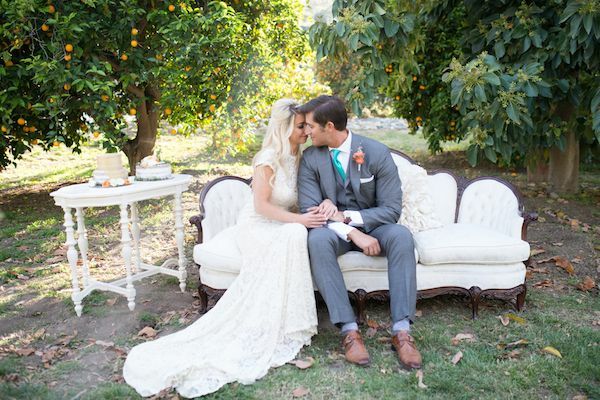 Captured beautifully by Carrie Mcguire, each and every image is absolutely pin-worthy! 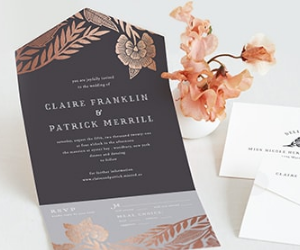 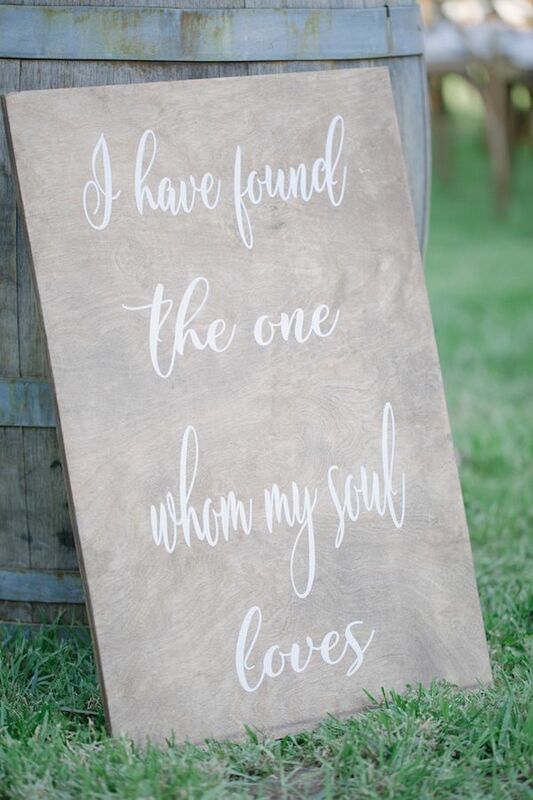 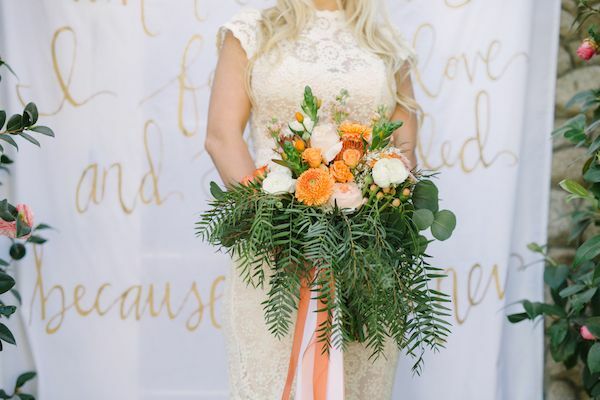 From Rustic Vintage Events, "When Carrie Mcguire contacted me to see if I would be interested in taking on a styled shoot project for a property that was considering opening its doors for weddings and events, I was instantly on board!" 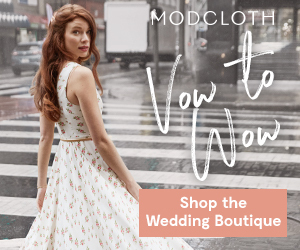 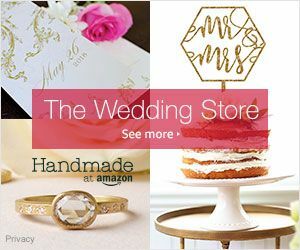 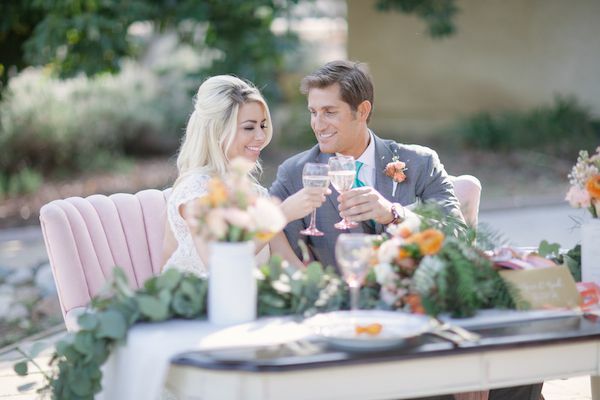 "The property was looking for a team to create a styled shoot because they were looking to add photos to their portfolio..."
"...so that they could show potential couples exactly how lovely a wedding at their venue could be." 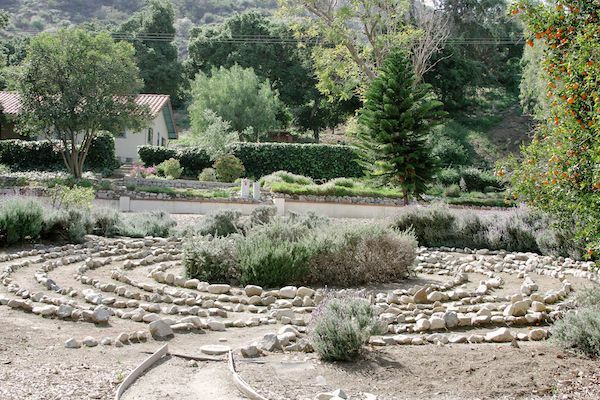 "Glen Ivy Hot Springs was founded in 1860 and this property is very well known for its relaxing spas and natural clay mud baths." 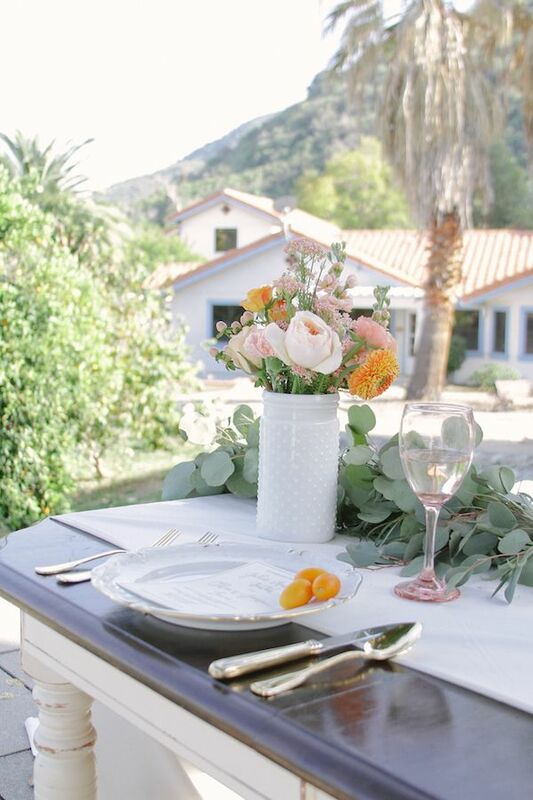 "The 12 acres property is filled with luscious organic greenery from palm trees, bird of paradise, cherry blossom, orange orchards, bougainvillea..."
"...oaks and tons of cactus honestly you feel like you are in paradise." 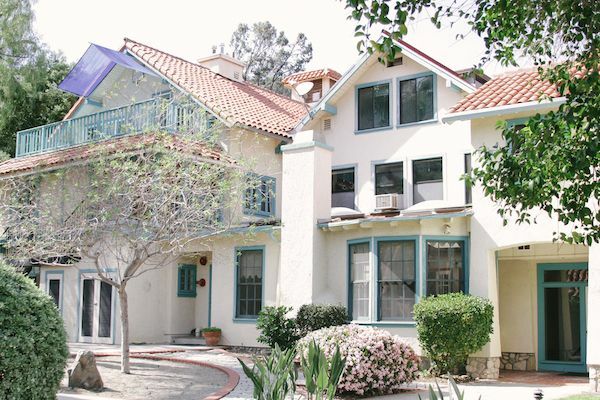 "The old buildings have a historical charm to them from rock walls, terra cotta roof tiles and floors, beige walls with touches of turquoise trim..."
"...royal blue tile accents throughout these buildings have a Spanish flair to them." 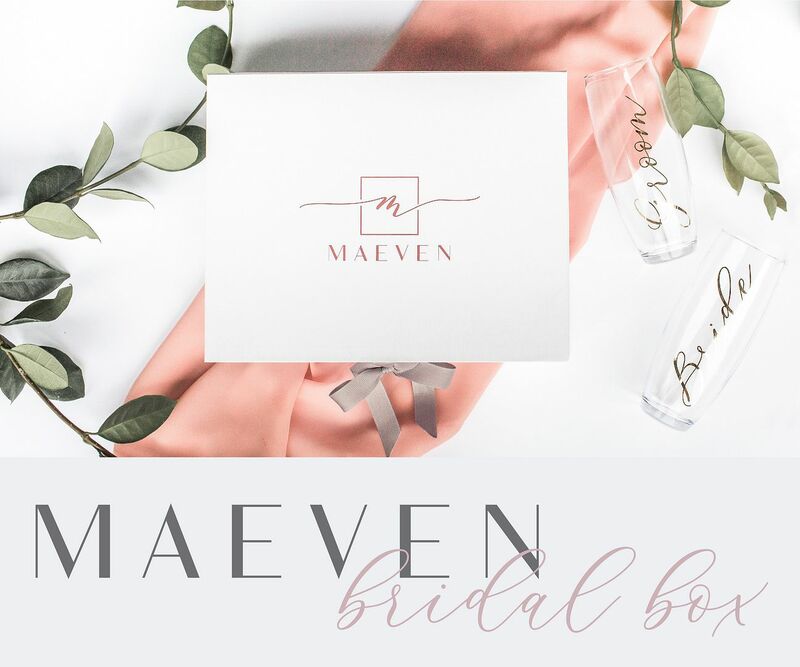 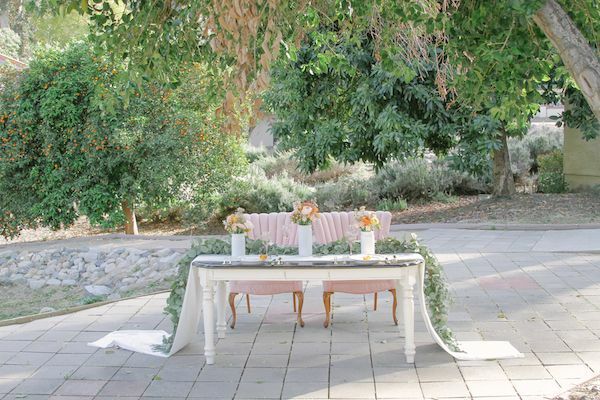 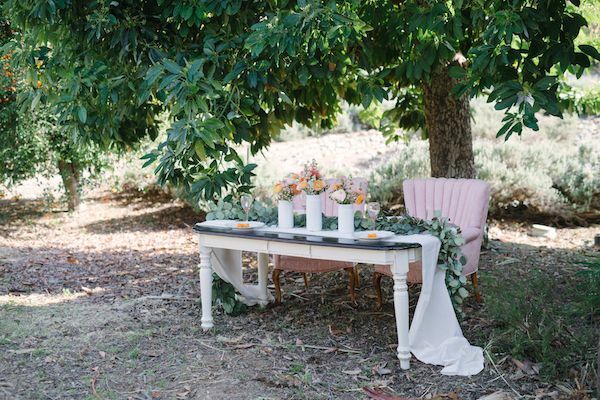 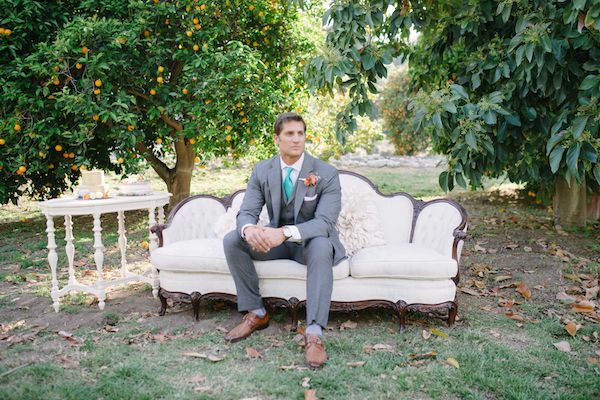 "After walking this gorgeous paradise I decided to keep the styled shoot very natural & organic..."
"...with very simple details and add a soft color palette that would blend well with the surrounding beauty of the orange groves." 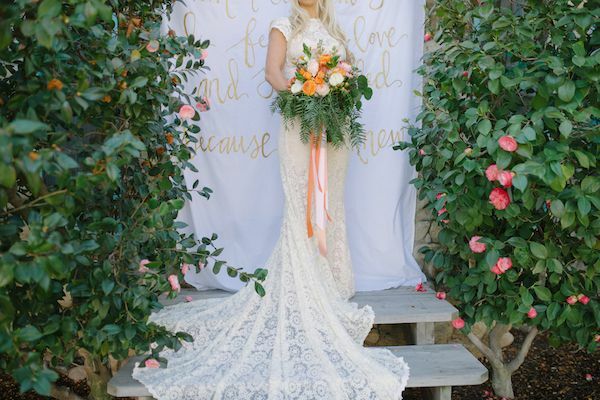 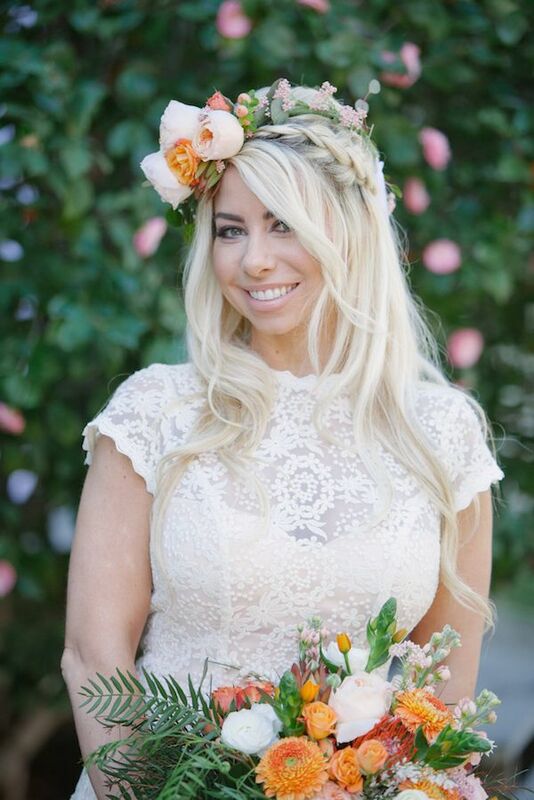 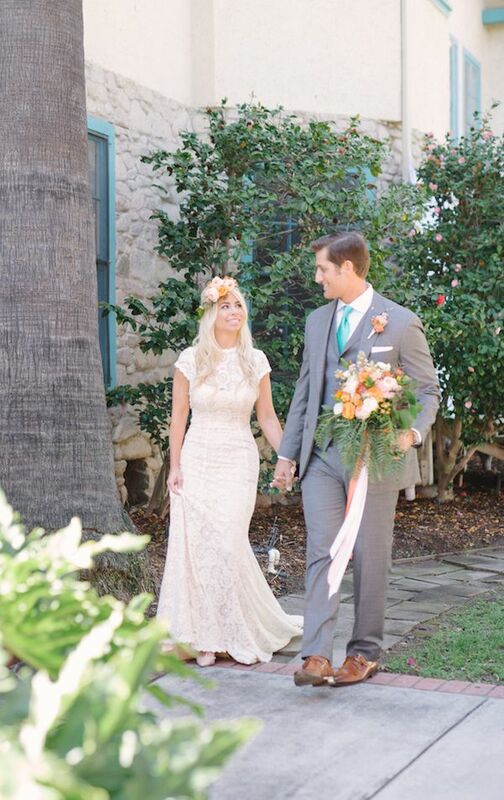 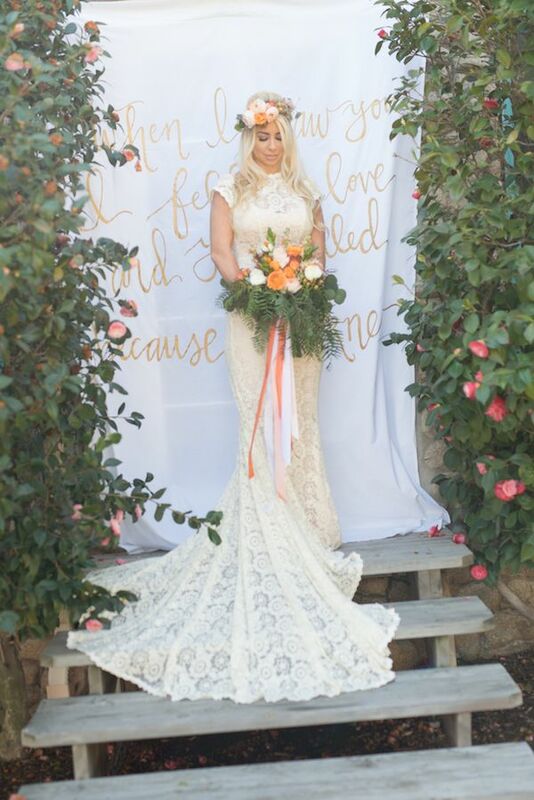 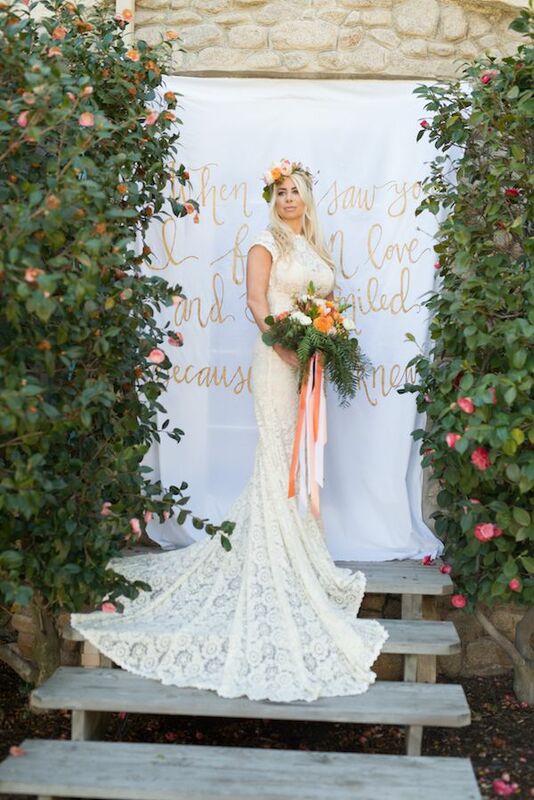 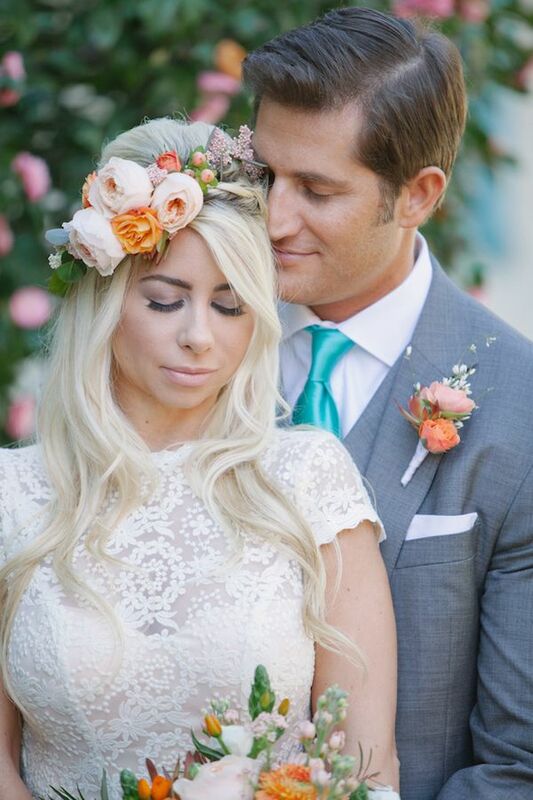 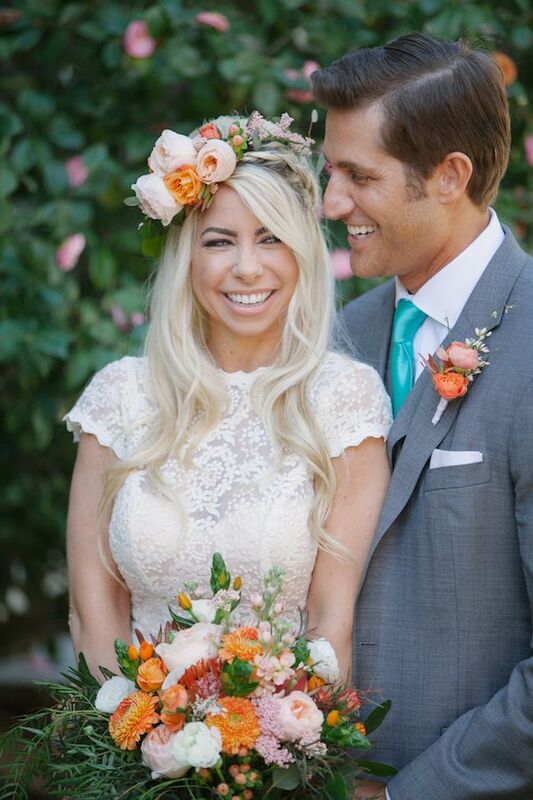 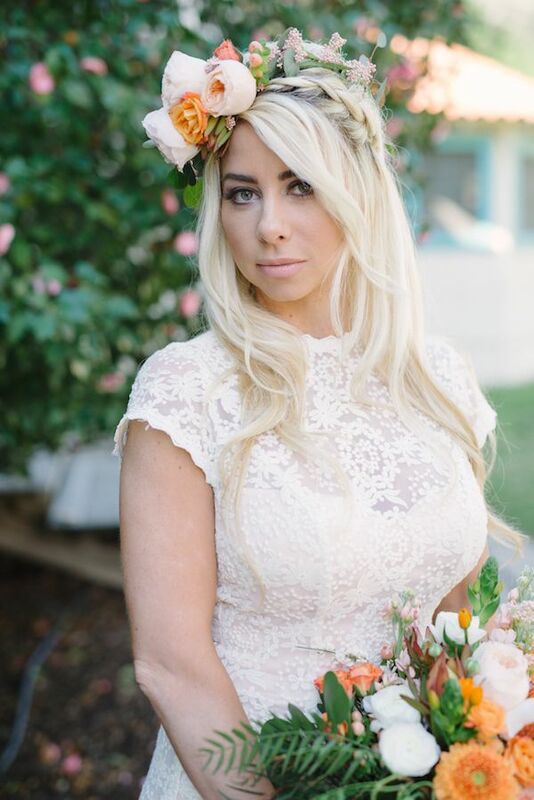 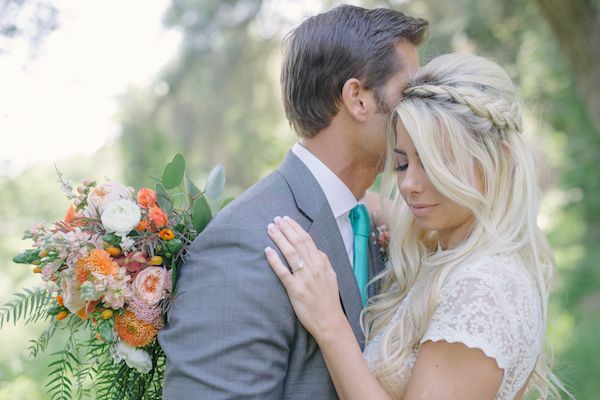 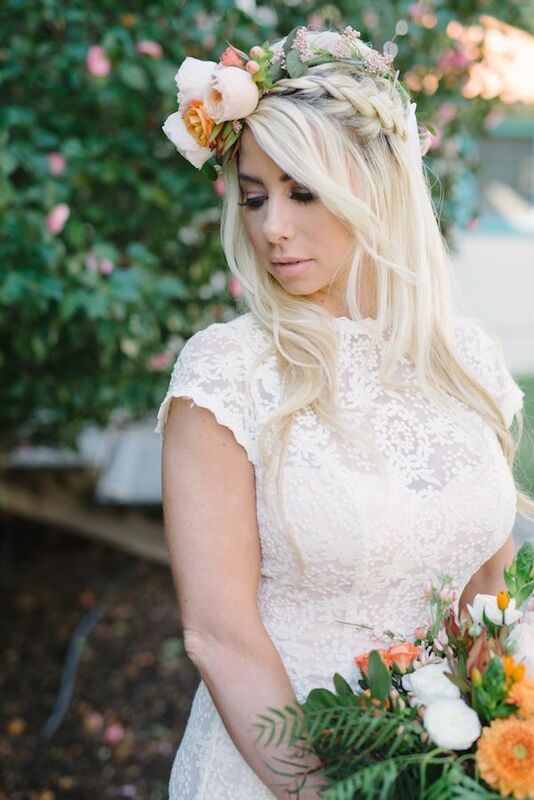 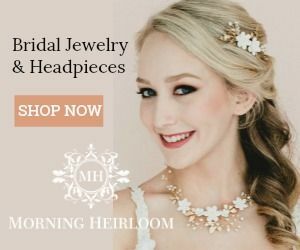 "The bride wore a beautiful boho style lace fitted gown by Dream and Lovers and hairstylist, Bella Faces Design Studio added a braid and sweet stems floral added a floral crown." 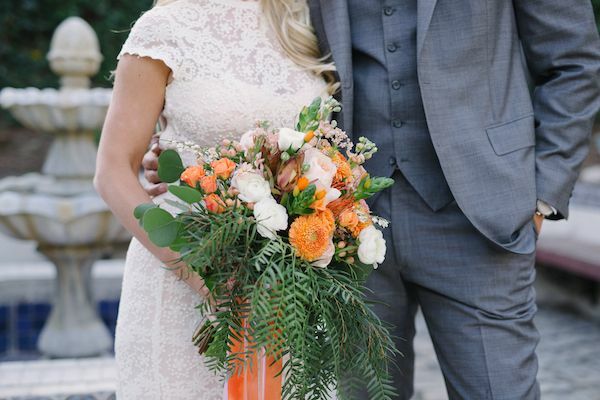 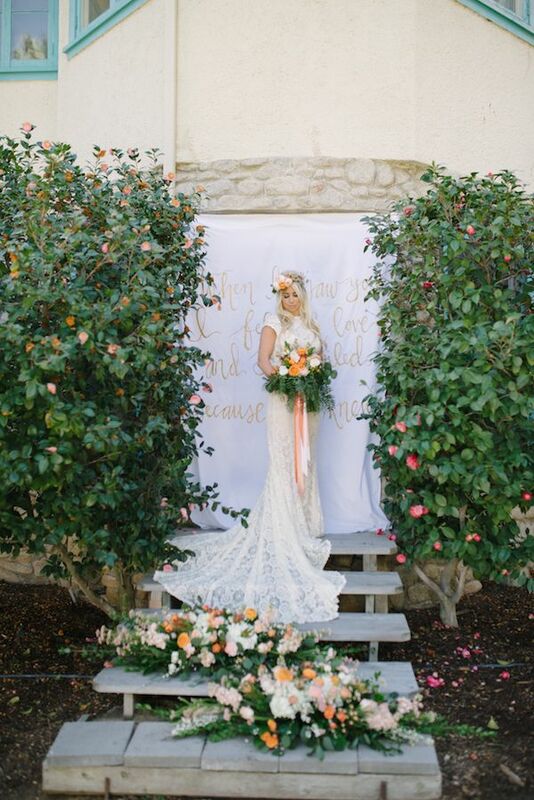 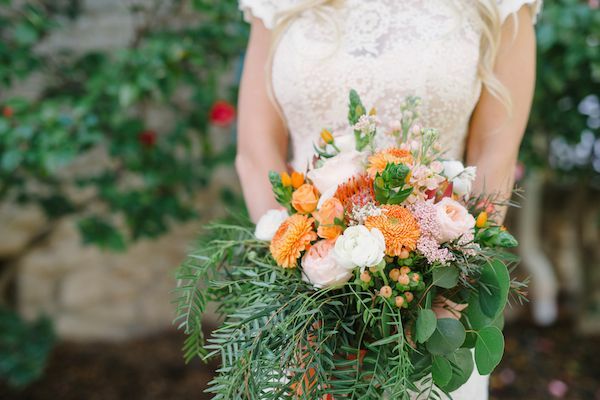 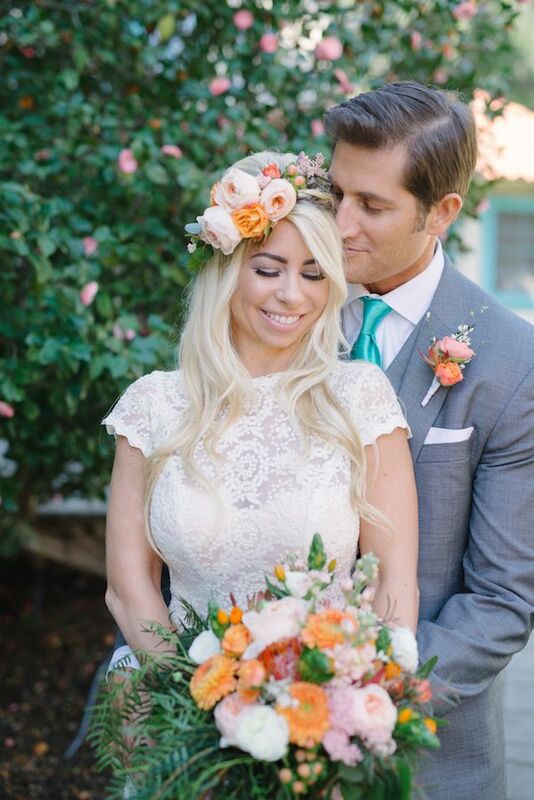 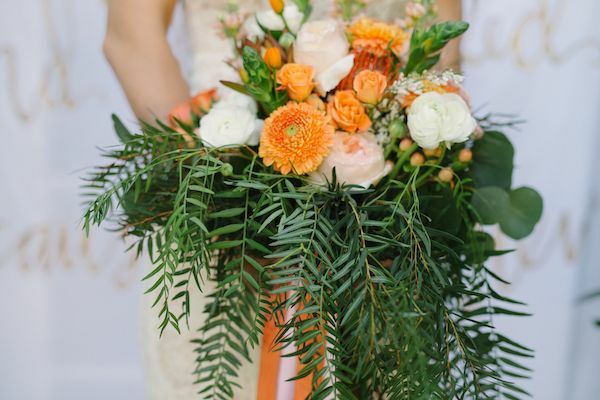 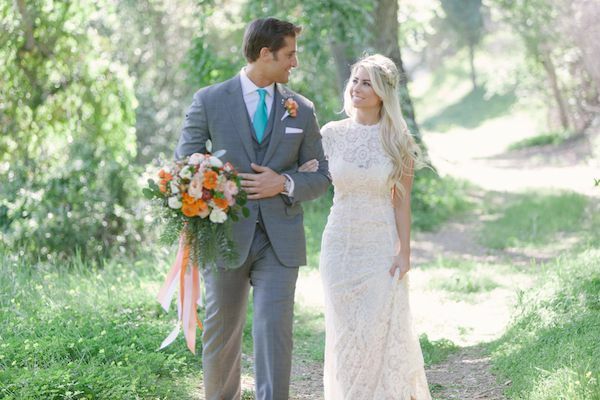 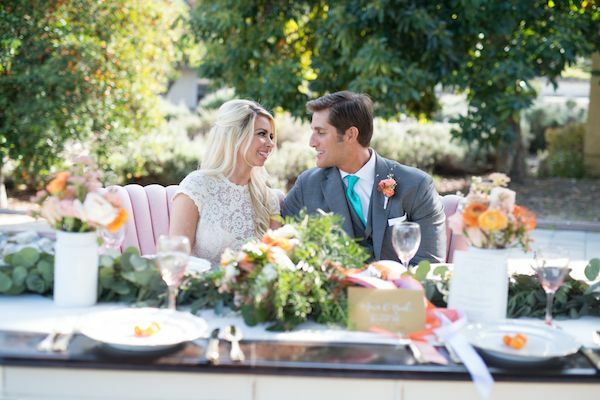 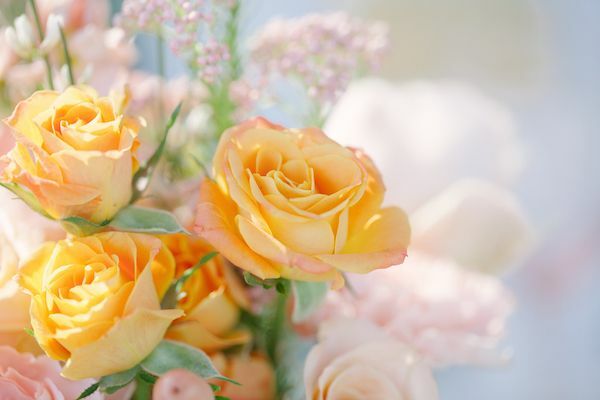 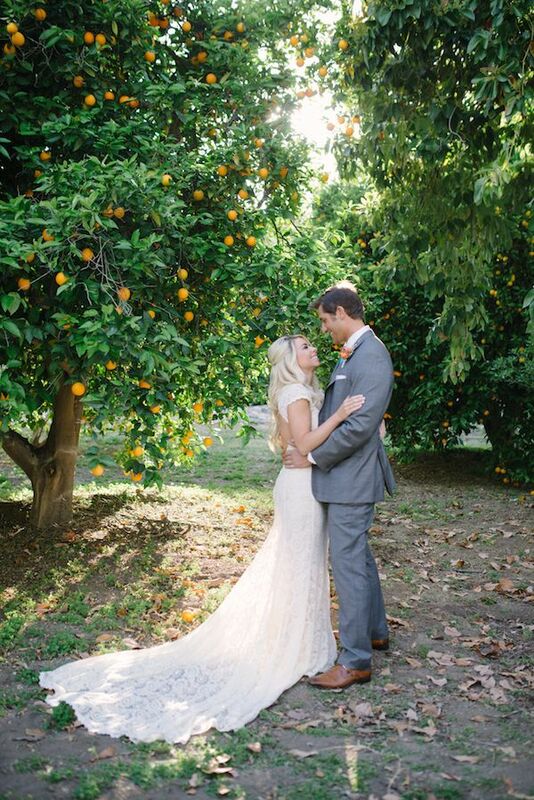 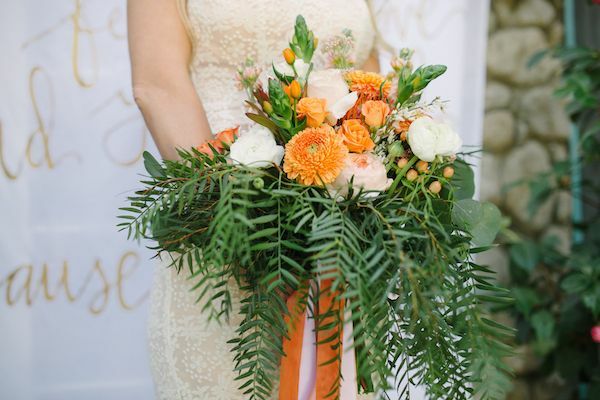 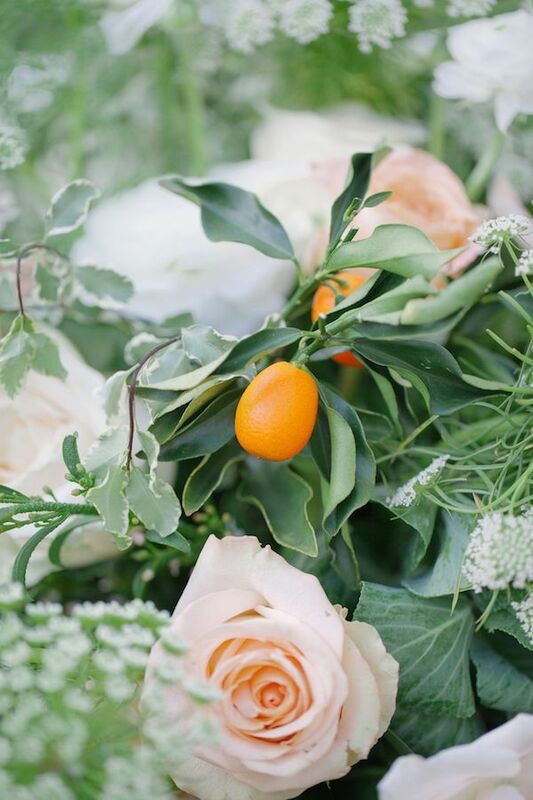 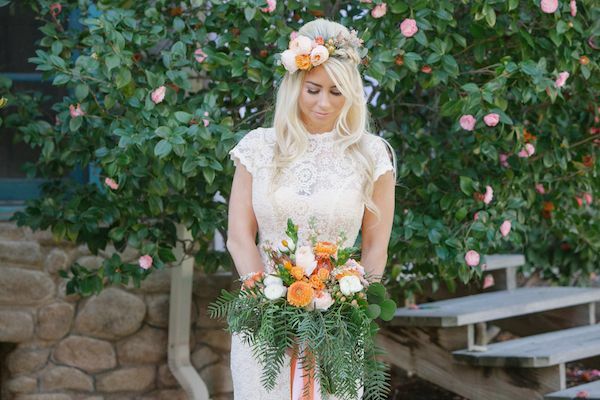 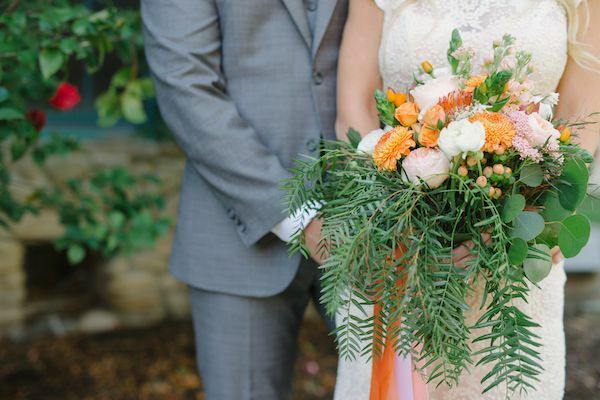 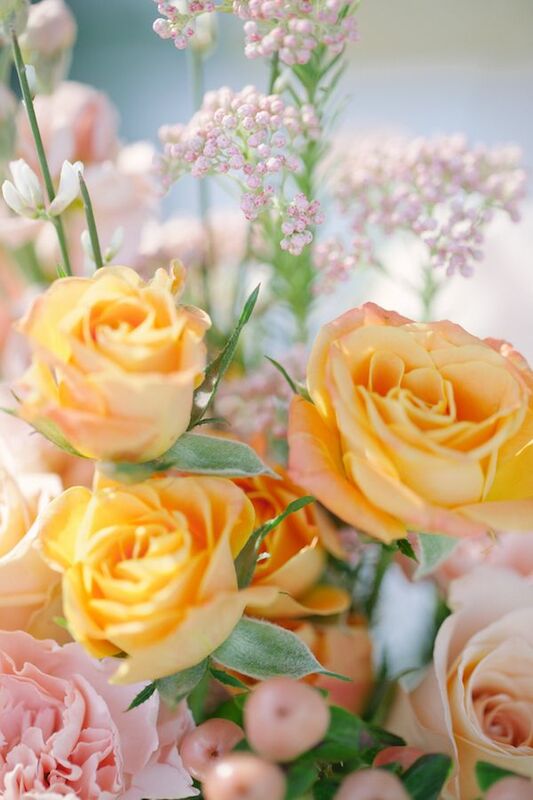 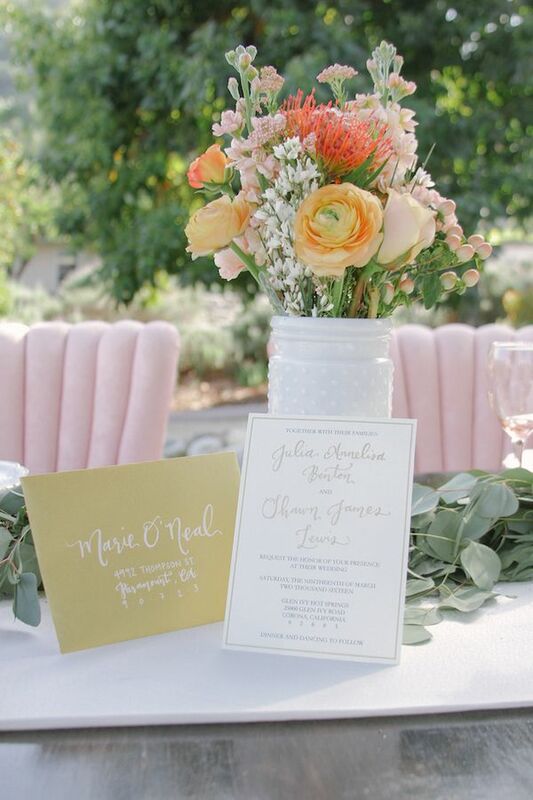 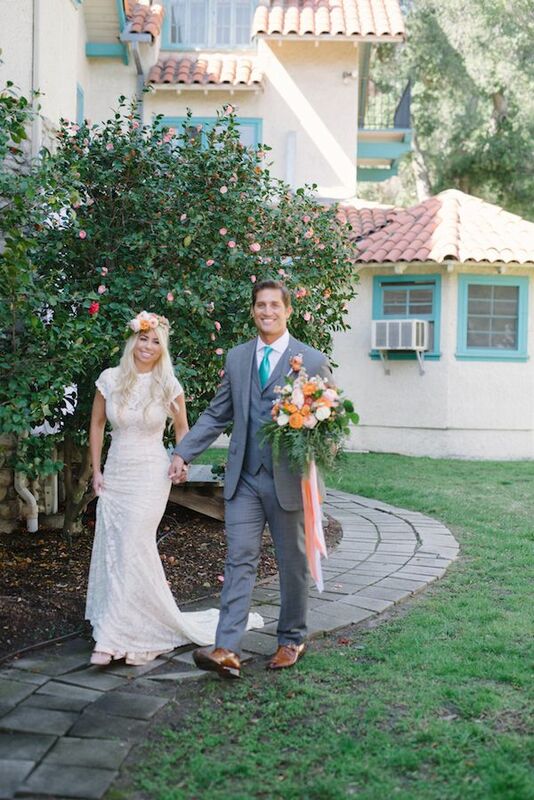 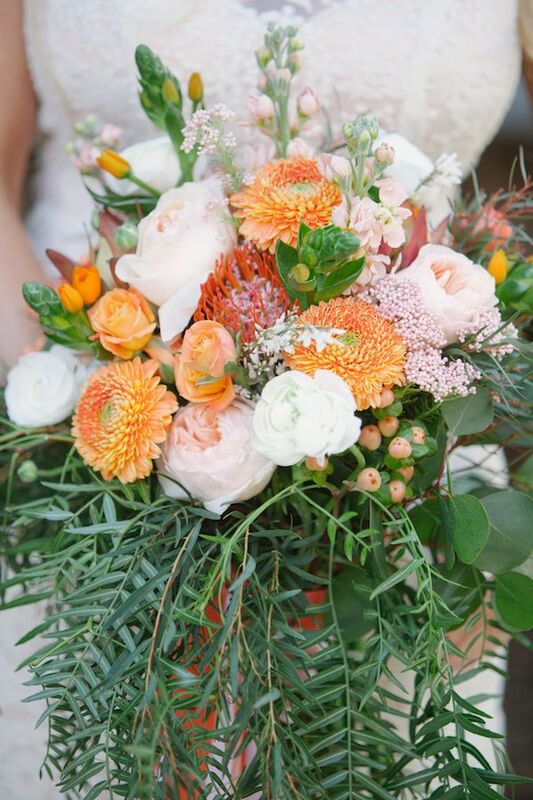 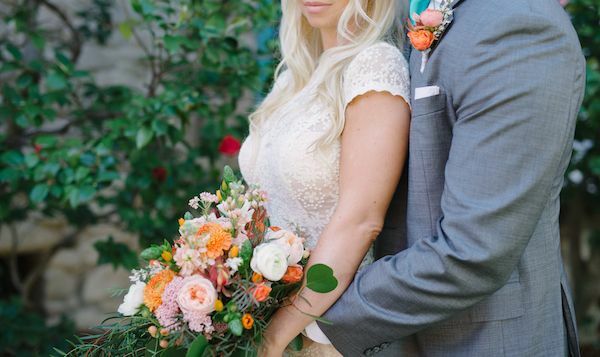 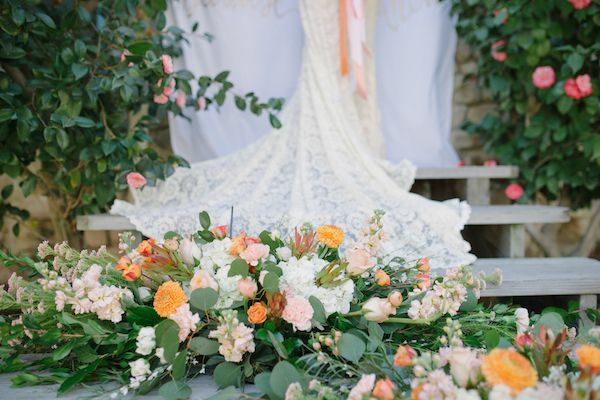 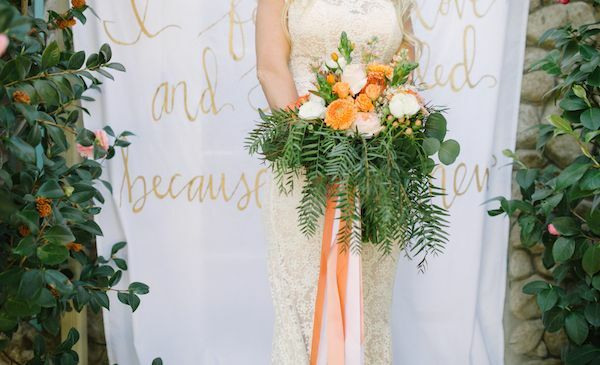 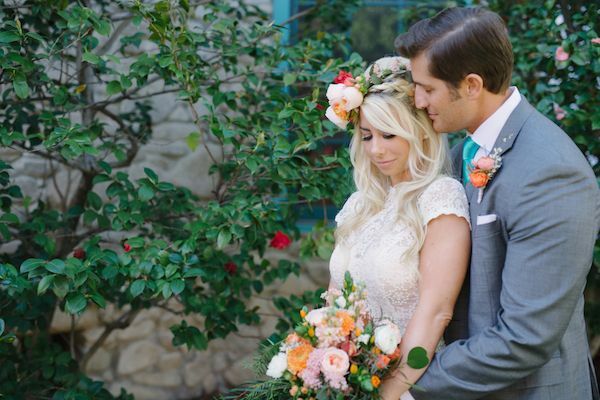 "The floral bouquet was just dreamy overflowing with greenery and citrus color flowers." 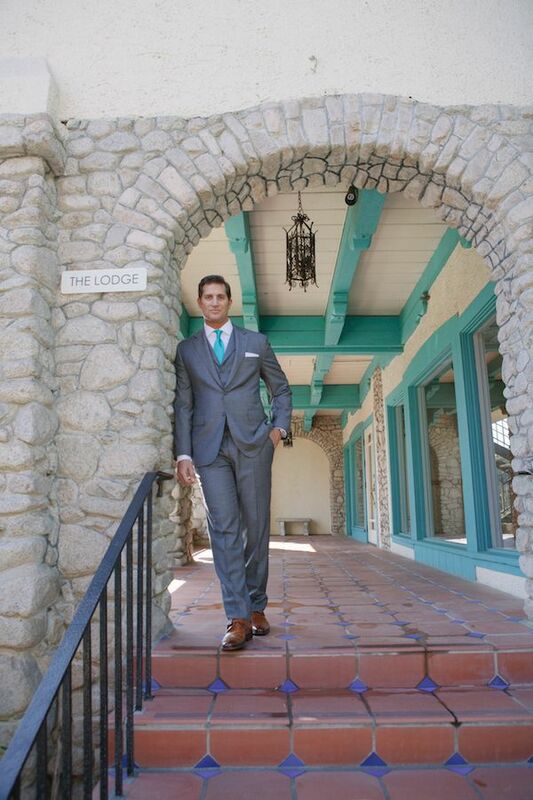 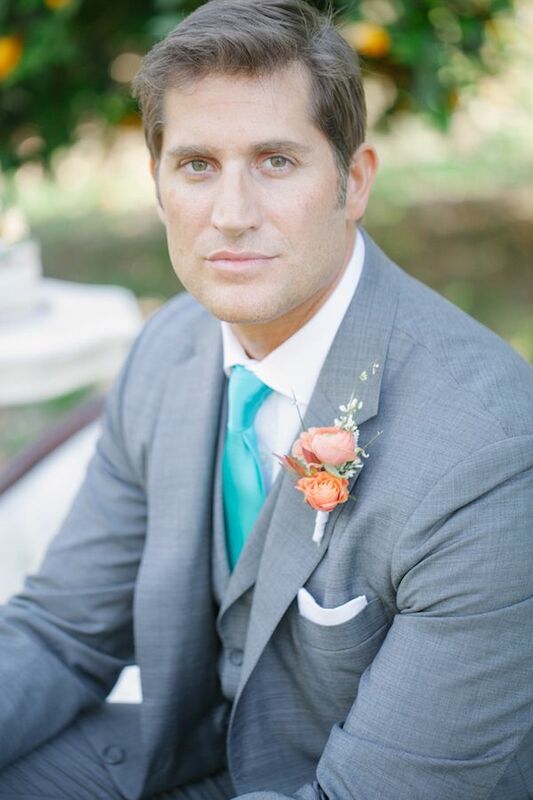 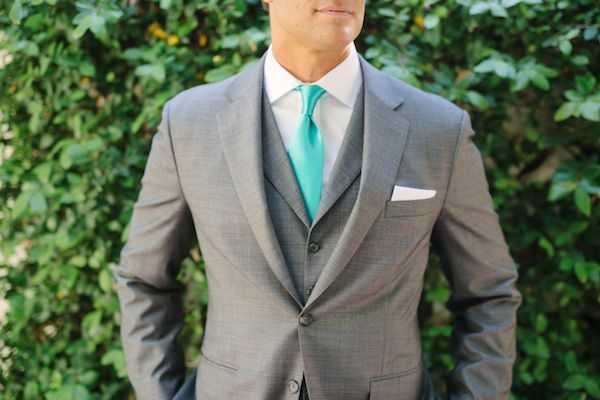 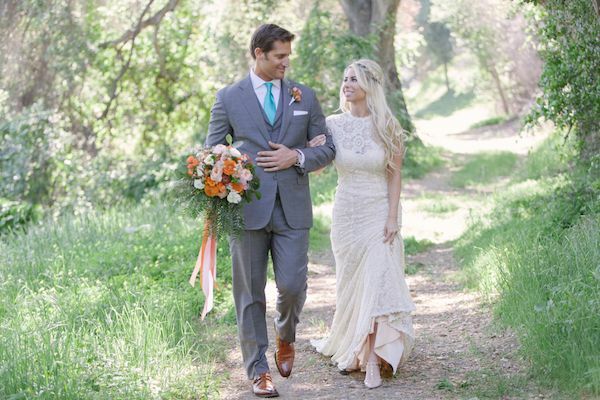 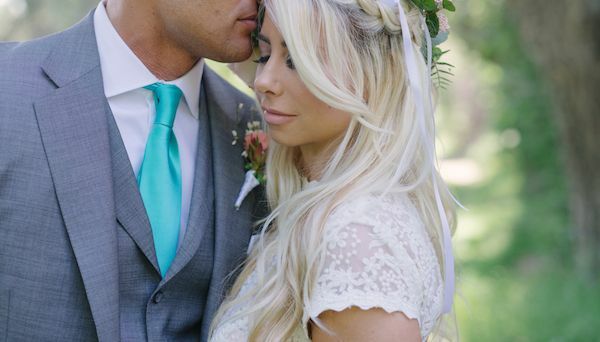 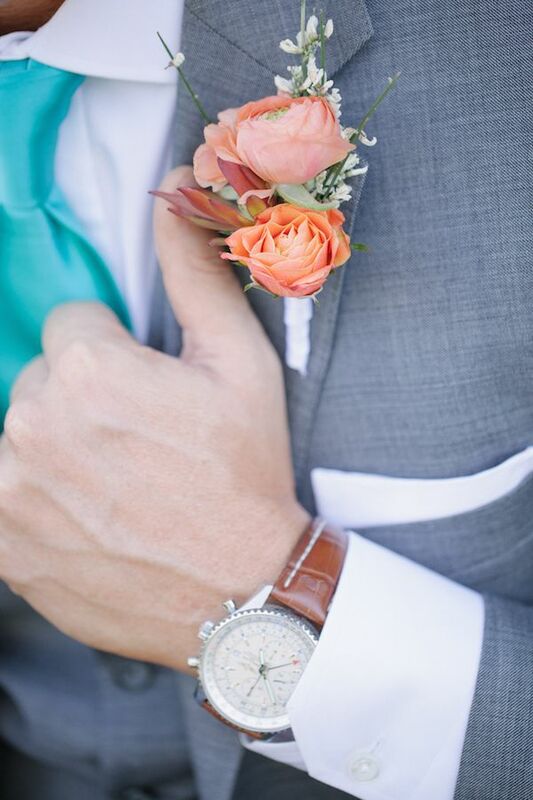 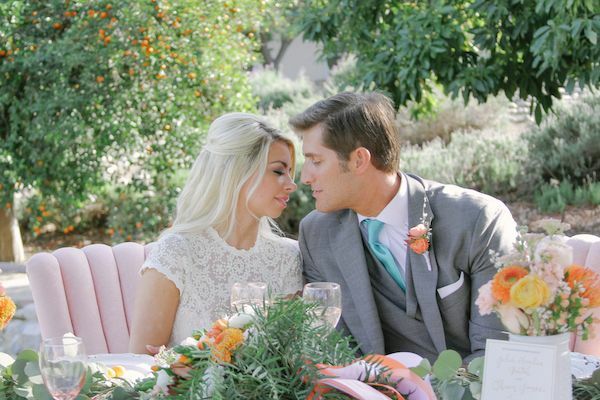 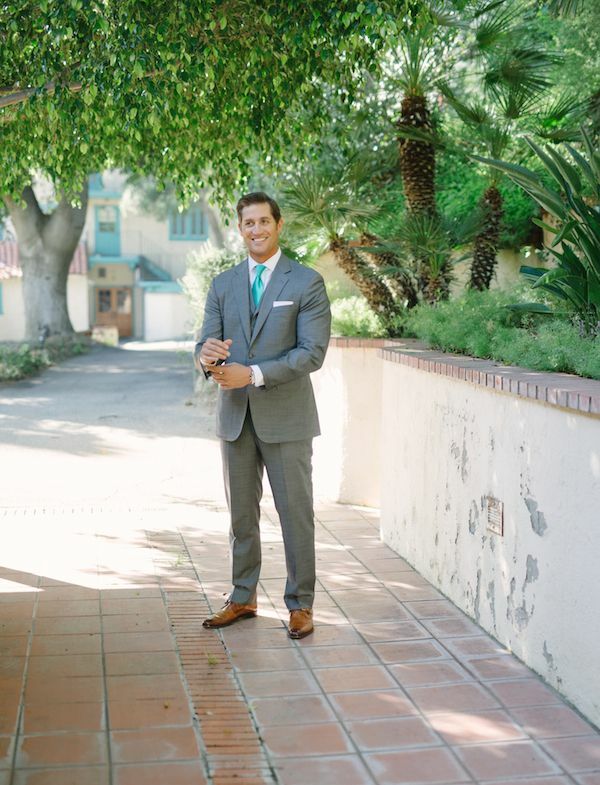 "The groom wore his own suit which was a grey color, and a white shirt with a turquoise tie." 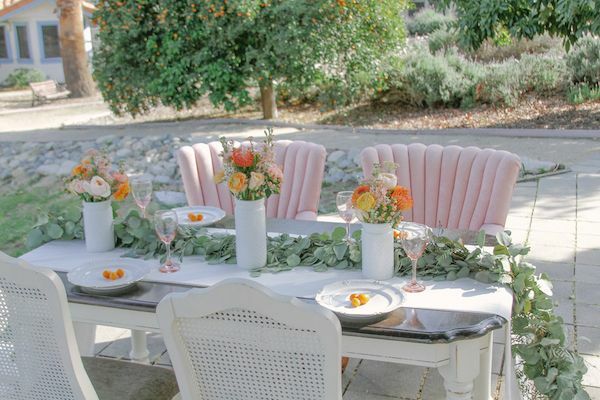 "The sweetheart tablescape I decorated the table sweet and simple I added an ivory fabric runner that draped to the ground..."
"...and then Sweet Stems Florist topped the runner with a greenery garland and added three hobnail white vases filled with a mix of peach, orange, pinks, white flowers." 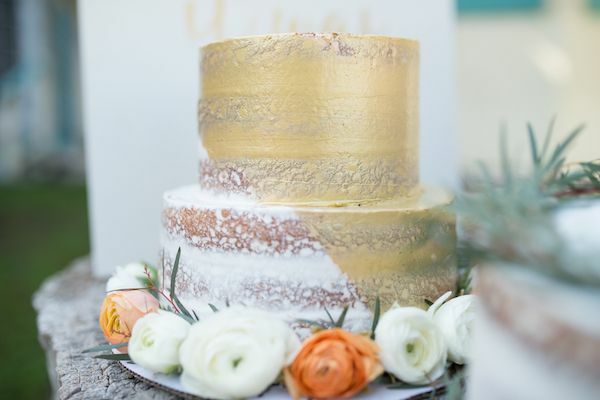 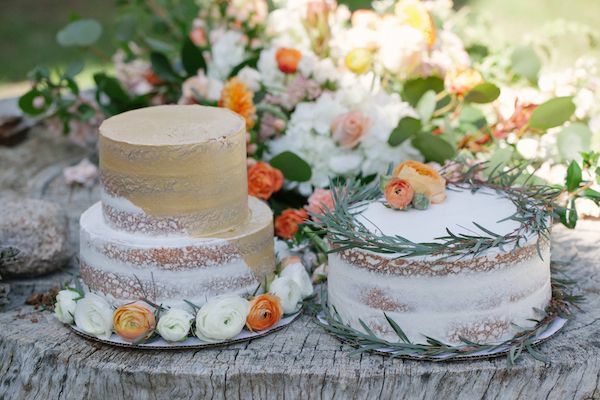 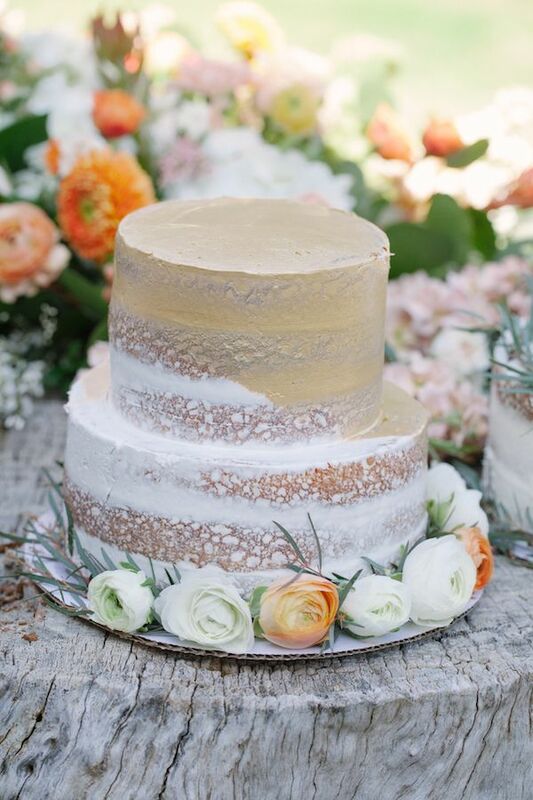 "Two tier naked cake designed by Love Cakes had a gold and ivory tint color with added citrus color flowers." 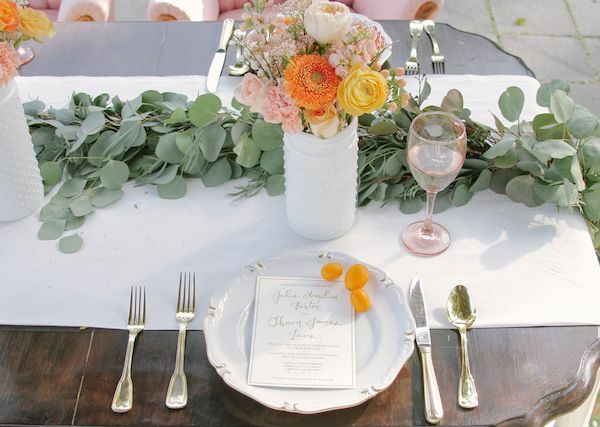 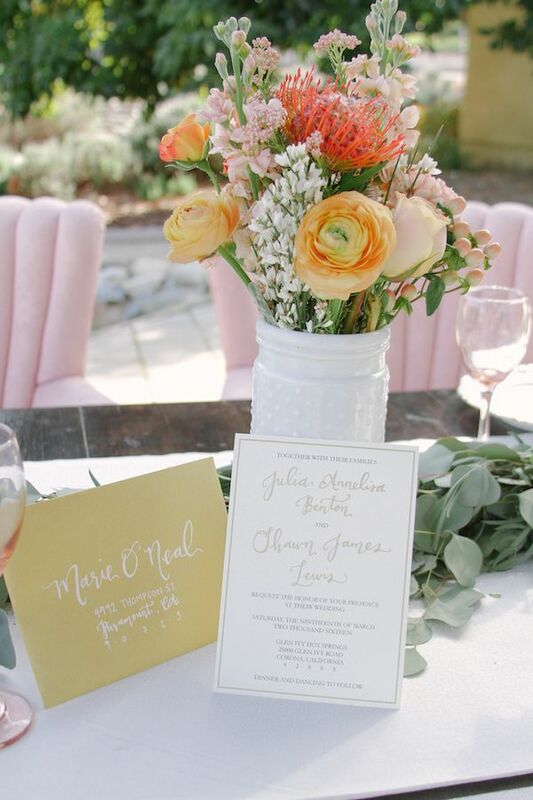 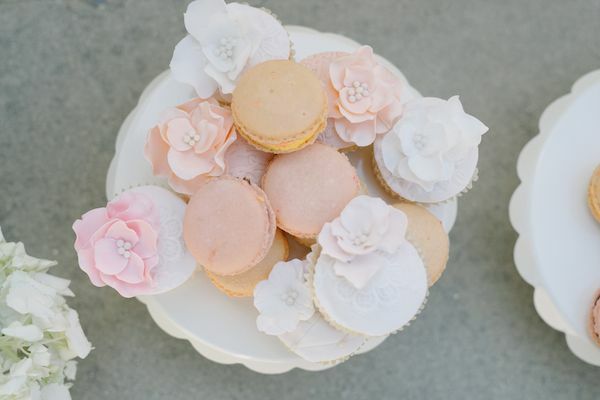 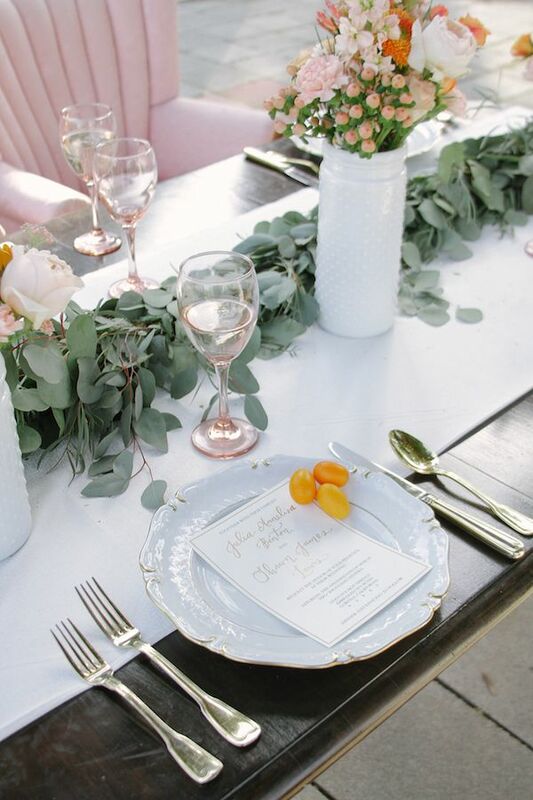 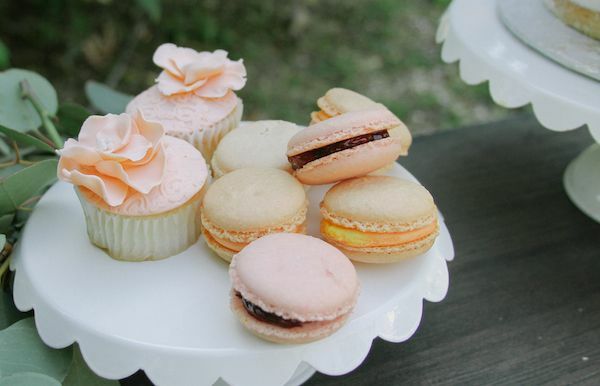 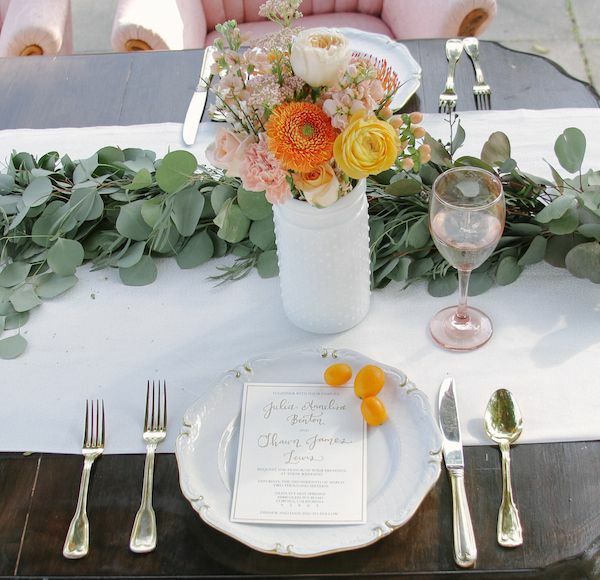 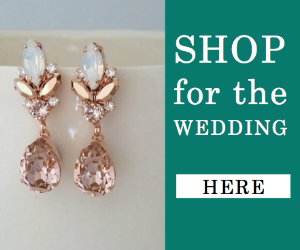 "The place settings consisted of white vintage china with gold rim, gold flatware and soft pink glassware completed the sweet and simple look." 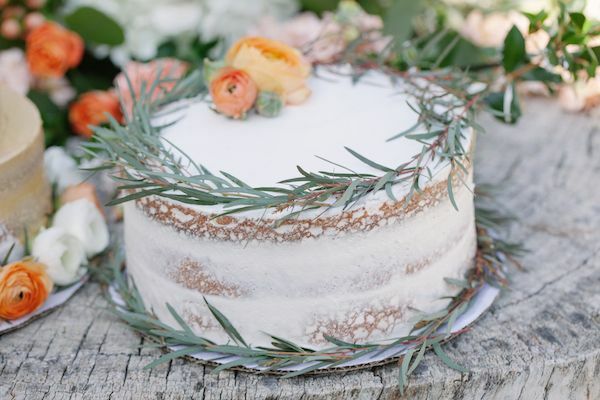 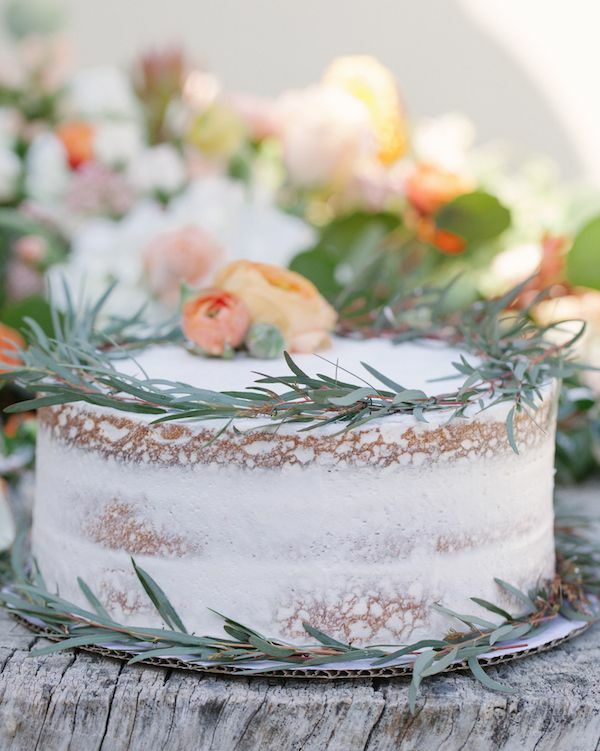 "and a one tier naked cake had an ivory color frosting with greenery around the cake.. cake was sweet and simple." 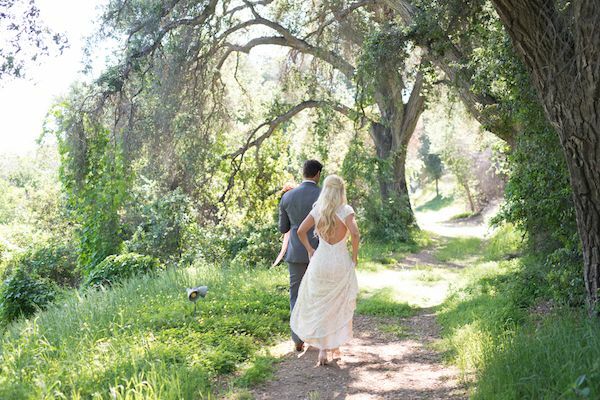 How picturesque is this? 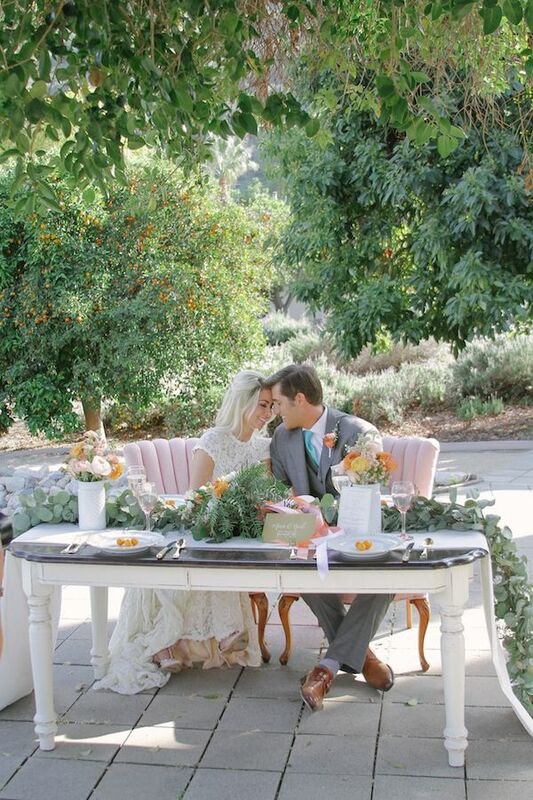 Loving this 'under the fruit trees,' shot! 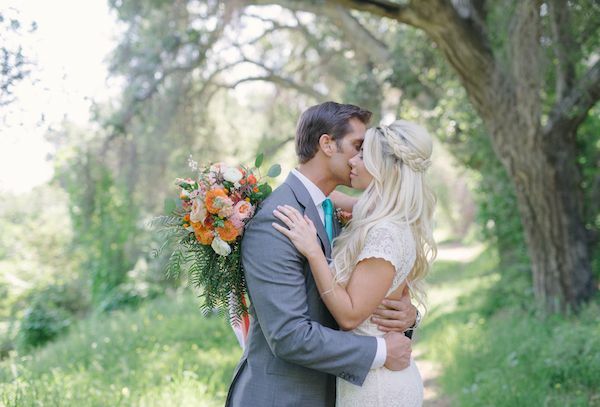 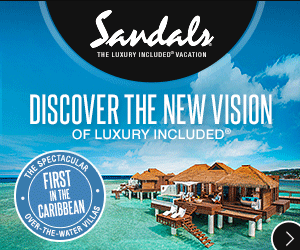 Don't miss this behind-the-scenes look at how this gorgeous shoot came to life! 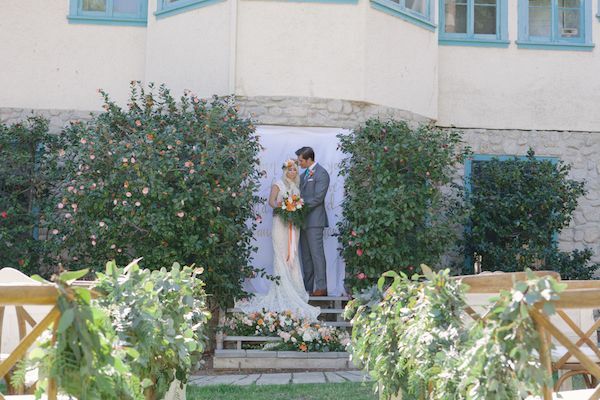 Julia + Shawn - Wedding Video from Clair Chang on Vimeo. 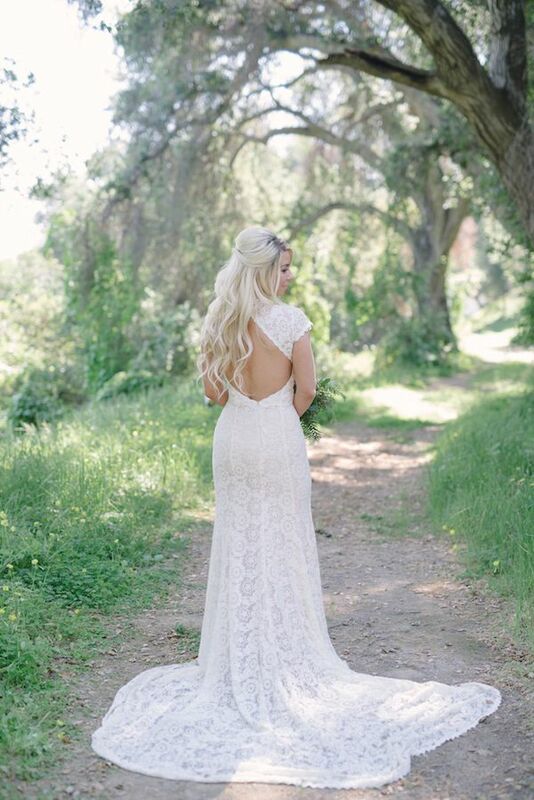 3 Comments " Bohemian Wedding Inspiration at Glen Ivy Hot Springs "
Such a fan of your blog/ instagram!